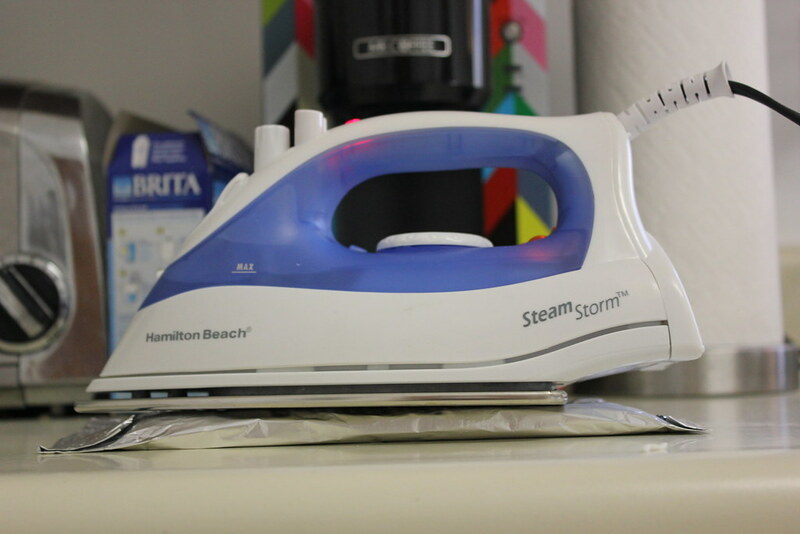 After the great success of making a clothing iron grilled cheese sandwich, I decided to see if an iron could produce any other delicacies. As it turns out, it makes a mean quesadilla too. The iron cooks the quesadilla nicely, giving it a crisp shell that compliments its deliciously melted, cheesy center. This recipe is perfect for dorm cooking because you really only need two ingredients: a tortilla and some cheese (salsa and sour cream highly recommended). 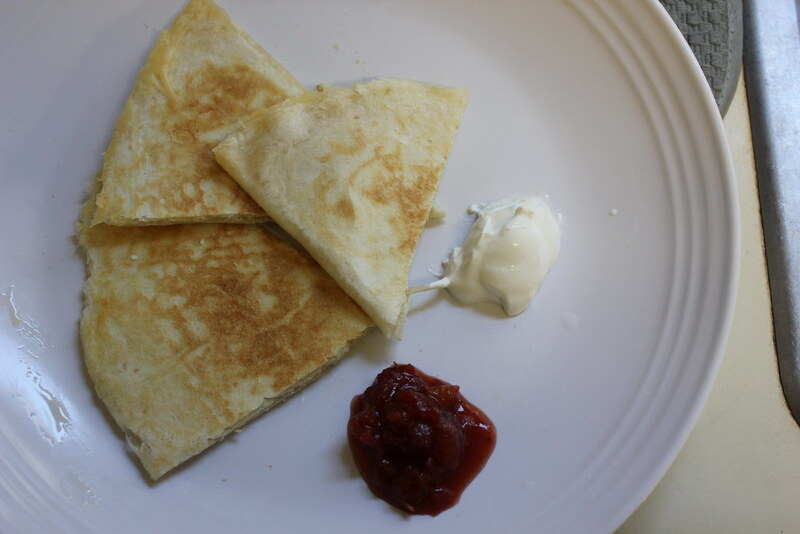 Whether you want to make one as a snack or a bunch for a dorm-style dinner party, this ironed quesadilla is a go-to dorm room recipe. 1. Turn on the iron and let it heat up (I have mine set to ‘linen’). 2. Place a square of aluminum foil in your work area. Make sure it’s large enough to cover the tortilla once it’s been folded in half. 3. Place the tortilla on the foil. 4. 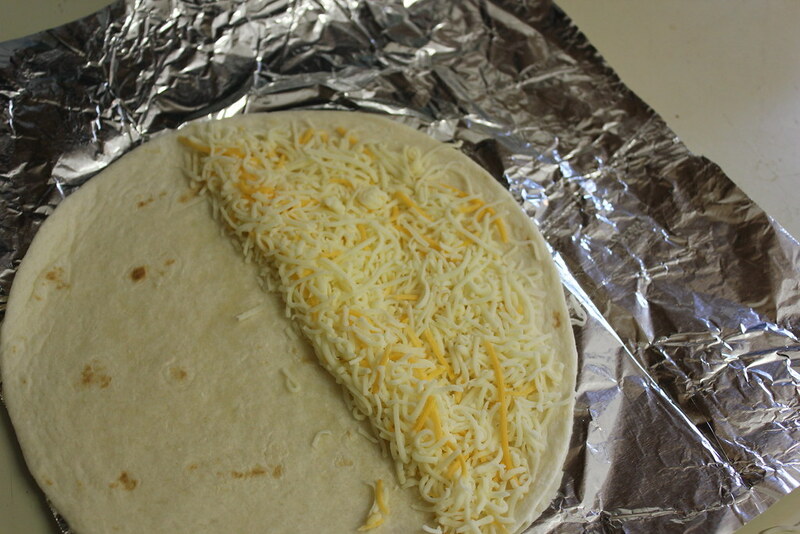 Put the cheese on the tortilla and fold the tortilla in half. 6. 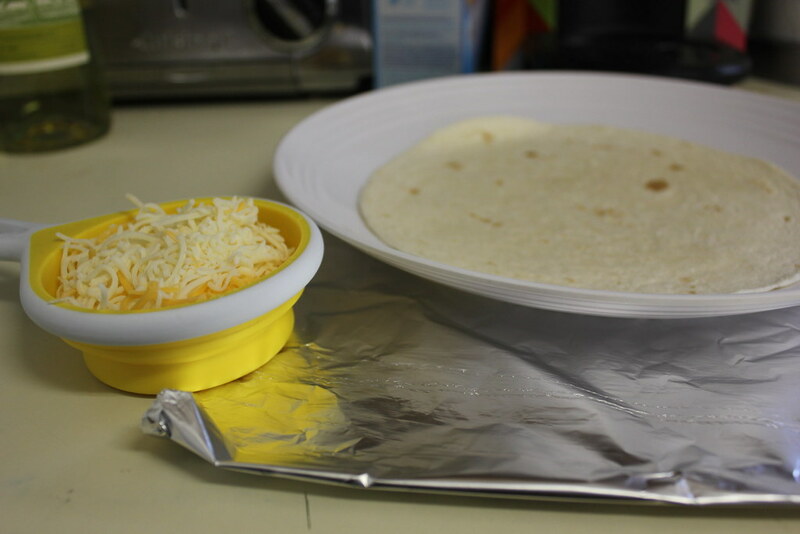 Place the iron on top of the quesadilla and let it cook for 3 ½ to 4 minutes. 7. Flip the quesadilla over and repeat step 6.